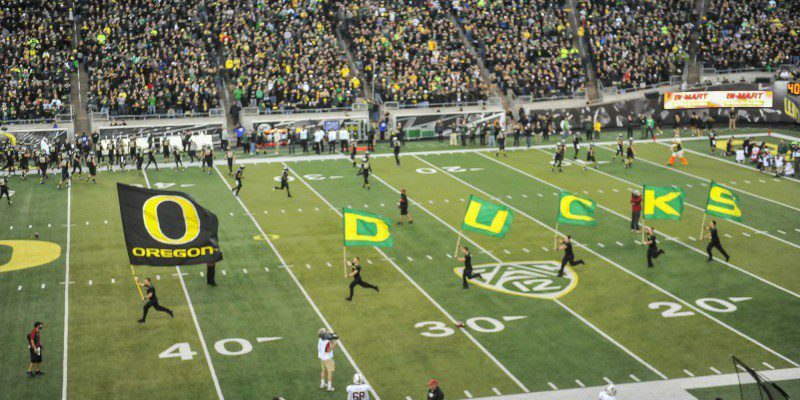 Signing day has passed; however, the talk of every school’s recruits is ongoing, especially at the University of Oregon. 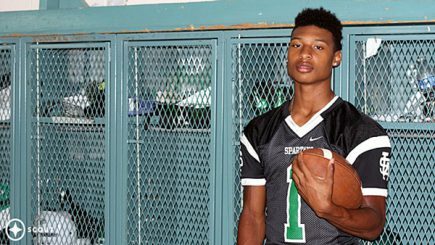 One of the biggest recruits for Oregon is two-sport commit Dillon Mitchell. Now, Mitchell is currently in his junior year of high school so there is still some time before he is officially an Oregon Duck, but he is quite a catch. In an article on OregonLive.com, reporter Andrew Nemec points out that a handful of other schools are involved in an ongoing battle to sway the Tennessee native away from Oregon and to their program as he is a three-star prospect by ESPN, 247sports and Rivals. Regardless of these other big-name schools throwing themselves at Mitchell, he has made it seem pretty clear he cannot be swayed. Some of the other schools that are that are looking at the 6’1, 185-pound wide receiver are Alabama, Florida State, Georgia, Georgia Teach, LSU, Michigan, North Carolina, Notre Dame and TCU – and even more have reached out to him in the hopes of swaying his commitment. Mitchell said he’s been asked to come on different official and unofficial visits to see the campuses and facilities of other schools, but the only visit he is planning is to Oregon. Future two-sport, three star commit, Dillon Mitchell. Tennessee is far from Oregon and plenty of people have been throwing negative ideas at him about coming all the way over here. “Oregon is too far away and too cold. Don’t commit to a school just because of the jerseys and the flash.” But alongside the current recruits who signed with Oregon for the 2015 season, Mitchell feels a lot better. Nemec also pointed out that the Ducks took two commits from Georgia in Taj Griffin and Gus Cumberlander, one commit from Missouri with Alex Ofodile, one commit from Louisiana with Kirk Merritt and one commit from Tennessee with Ugo Amadi. Mitchell finds comfort in knowing he’s not the only one flying far from home and the Ducks are finding respectable and wanted talent over on that side of the states. “It’s a good feeling knowing that (the Ducks) are coming after the South, as far as getting good players out of here. Seeing guys like Kirk and Taj go, it’s good to see them come out here and get good talent,” Mitchell said. Mitchell doesn’t have his official signing day for a long, long time since he still has an entire year left of high school. But based on his previous statements and excitement about Oregon, our hopes are high that he stays as committed as he leads on. If all goes well, we’ll see this young athlete in a Ducks football and basketball jersey come 2016.